When the opportunity for more garden space arrived, eight residents decided to pull together and purchase a strip of land. They needed a new garden fence to complete the project, so enlisted the help of a Jacksons Approved Installer. Whether you’ve got a small or large garden, the opportunity to acquire more space is one that doesn’t go amiss. Eight residents in Wiltshire wanted to extend their back gardens, so they decided to collaborate and purchase a small strip of land that was part of the communal green space and car park to the rear of their houses. In doing so, they needed new garden fences to complete the extension, so they decided to pull together and have the fence installed as one continual run. The space that was previously there was untidy, with overgrown foliage, bins and tired wire fencing lining the boundary. The residents’ original fences were a mismatch of colour and design, and many were in a state of despair, so the purchase of the new land brought a welcome change. They opted for 1.8m high Traditional Featherboard fencing, a classic design that suits a wide variety of garden, from urban to rural concepts. Traditional fencing is supplied in non-panel form or kit form, with a run of fencing being constructed on site from posts, rails and pales. The addition of a capping rail finishes off the system while protecting the ‘weathered’ edges of the pales. The total length of the installation was 40m long installed in 2.4m wide bays, spanning eight different properties. One of the houses also had a 0.9m wide Featherboard gate to match the fence. The look of the street is now more uniform rather than patchwork fencing along the road. Their new shared fence comes with a 25 year Jakcure® guarantee, so they can be sure that their gardens will look their best for years to come. The residents now also have more room for planting, seating, barbeques etc, and of course – they own part of a beautiful new handcrafted fence. Traditional Featherboard fencing is perfect for applications installed on a slope or uneven terrain. The Approved Installer Tim had to install part of the fence on a wall that originally separated the properties from the car park so this type of fencing was the best choice. The pales are attached individually, so they can be fixed at different heights to compensate the difference in ground level. Furthermore, the length of the fence is much easier to fit without having to cut down fence panels. The residents are so happy with the quality that 1st Aid 4 Fencing are now quoting several of the residents to extend their dividing fences as they no longer reach the back fence, so we may have more photos in the future of some individual finished projects. 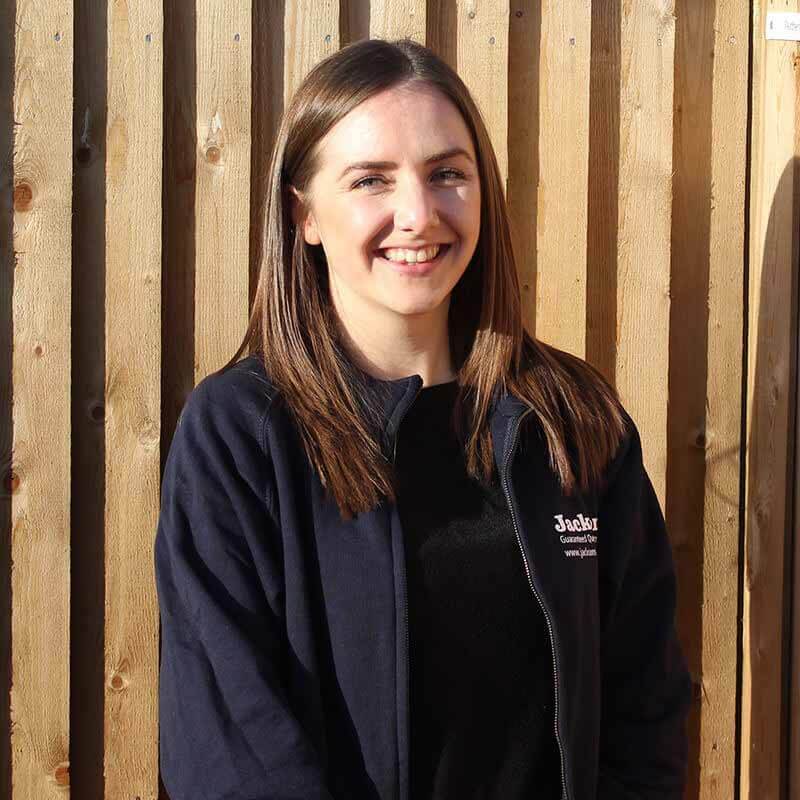 Elise is a part of the Jacksons residential marketing team, writing regular columns on gardening, garden design and everything that is garden fencing, gates and structures.